Government borrowing in the United Kingdom increased by £1.6 billion in September to £11.8 billion compared to September 2013. Analysts had predicted there would be no rise. 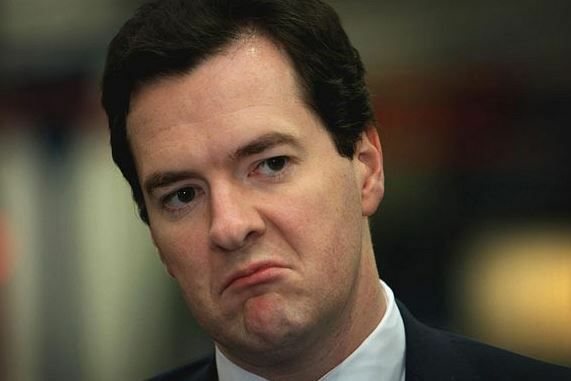 The latest figures, published by the Office for National Statistics, are a serious blow for the Chancellor of the Exchequer George Osborne who had promised in March 2014 that he would reduce the budget deficit by at least 10% within the next 12 months. The UK government’s PSNB ex (public sector borrowing excl. public sector banks) was £58 billion from April to September 2014. This represented a £5.4 billion increase compared to the same period last year. Despite the strong economic recovery, tax receipts in September were only 3.1% up on September last year. The CGNCR (central government cash requirement) for the April-September 2014 period was £58 billion, which was £14.9 billion more than for the same period in 2013. PSND ex (public sector net debt excl. public sector banks) reached £1,451.3 billion, or 79.9% of GDP in September. This was £100.7 billion more than in September 2013. What about that pledge to cut the deficit, Mr. Osborne? General Government Gross Debt (Maastricht debt) at the end of September was £1,557.5 billion, while the General Government Net Borrowing (Maastricht deficit) in 2013/2014 was £101.1 billion. Plans to bring down the budget deficit appear to be becoming nothing more than a pipe dream. So far, the UK government has borrowed nine percent more in 2014 than at the same time in 2013. Head of the government’s fiscal watchdog, Robert Chote, had commented last week that income tax receipts were surprisingly low, given the strong surge in employment. The latest data suggest that a large proportion of new jobs being created are relatively low paid. In April 2014, the Office for Budget Responsibility had forecast full-year borrowing of £95.5 billion i.e. 12% less than last year. With the government more than half way towards this figure after six months of the financial year, hitting that target is going to be impossible. In order to meet the £95.5 billion target, borrowing during the next six months will need to be 37% lower than last year. As the Chancellor considers his pre-election tax and spending plans, which he is expected to announce in December, his room for maneuver has virtually vanished. Ahead of general elections, tax cuts are common. Mr Osborne will have to do some sophisticated juggling this time round.